FIBER 2 Stringing is constructed with Crosse Wave II which utilizes a new duo fiber construction for a lighter and stronger sidewall. These two different materials are strategically placed for maximum benefit. The string's core is made with the new CTRL fiber (white) which is ultra-lightweight and low-stretch is to keep sidewalls tight and weight to a minimum. 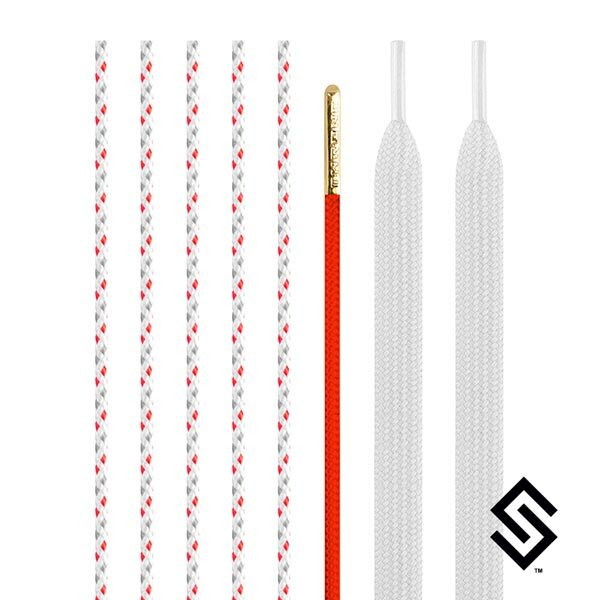 The string's shell is made with OG fiber (color) for durability and grip to lock down knots. FIBER 2 utilizes new ultralight material striking a supreme balance between durability and weight. Shooters are accurately woven to retain structure for hold while retaining a consistent release. CROSS WEAVE II features duo fiber construction for unmatched durability and low stretch to maintain pocket shape. Element phobic material grants ultimate performance in all climates and conditions.